Looking for the perfect runner game to pass time? Try out Rayman Adventures. Collect the golden eggs and fight off the enemies while you race to the finish line. Enjoy amazing adventures and rescue the coolest monsters to make them your sidekick. 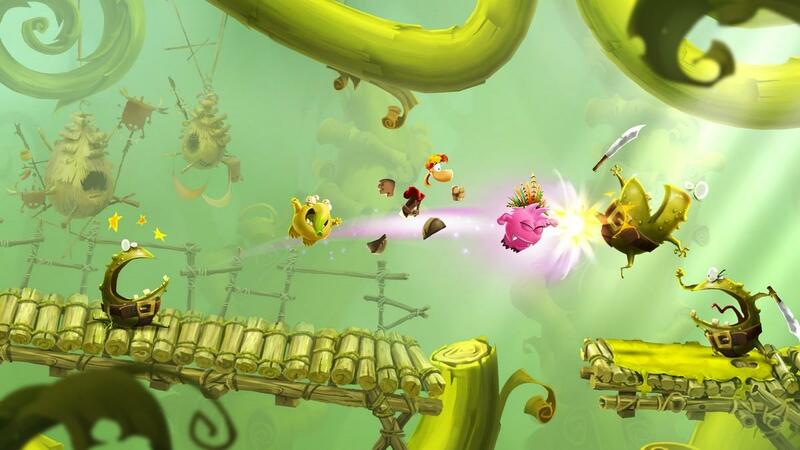 Rayman Adventures is a brilliant runner game that features an amazing story line. Your goal is to retrieve all the lost monster eggs and reunite them with their families during an epic adventure. With exciting controls, run to the finish line and complete the objectives to unlock new epic challenges. You get to play with four amazing characters in the game namely Rayman, Barbara, Globox and Teenpunk. The game also offers different costumes for each character that you can unlock through the gems won during the game play. Rayman Adventures is basically a runner game. You have to jump through obstacles, collect valuables and fight off the enemies while racing towards the finish line. The controls are quite addictive and simple. Swipe to start running left or right, tap to jump over obstacles and swipe while running to launch a fierce attack on the enemies or on obstacles that can be broken to clear the way. Your goal is to rescue 226 monsters by collecting their eggs. To make your way to an egg, you will need to complete various stages of that particular adventure first. These adventures include objectives like collecting a certain item, fighting enemies and basically, making your way to the finish line alive. 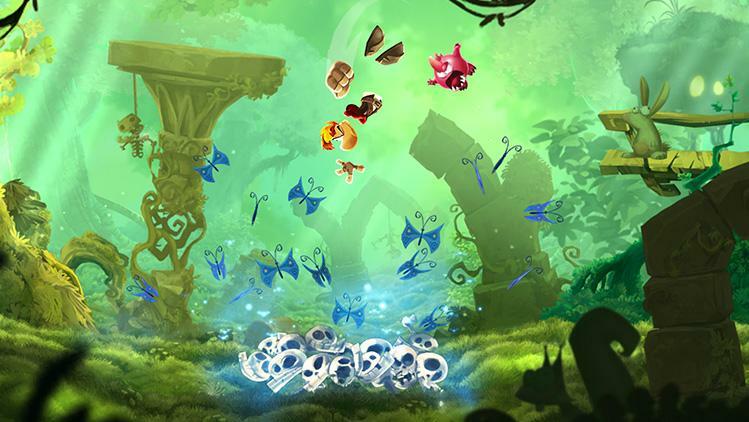 Rayman Adventures features a lot of unique stages with epic maps and exciting objectives. Complete one stage to unlock the next more challenging one. In order to get the perfect rating, you need to complete certain objectives assigned in each stage which involve collecting certain amount of gems, fighting a particular enemy and much more. As the levels get tougher, you will be able to use the monsters you have rescued in the game to assist you. Some monsters can be used as seekers; they will show you the spots where the treasure is hidden. Others can help you in fighting the enemies in your path. However, you will have to feed your sidekicks with food that you can win by getting the perfect rating in each stage of the game. There are a whopping 81 achievements in the game that you can unlock and win free rewards for them. Complete certain objectives as you play the game and get your hands on free gems. You can also invite your buddies to the game and can compare your ranking against them. 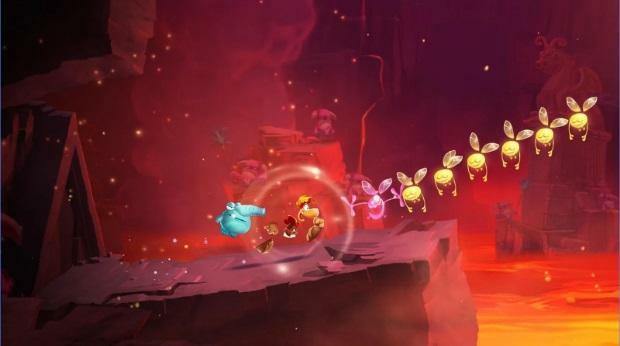 Rayman Adventures features some really cool graphics that will keep you hooked to the screen for hours. The physics of the game and the detailed maps, along with perfect background music make the game a perfect pastime. If you are running out of resources, you can always buy more through gems, which can be bought from the game store using real money. Embark on an epic adventure and rescue the monsters to reunite them with their families. Jump through the obstacles, destroy your enemies and use the monsters as sidekicks in this epic runner game. Try out Rayman Adventures today.